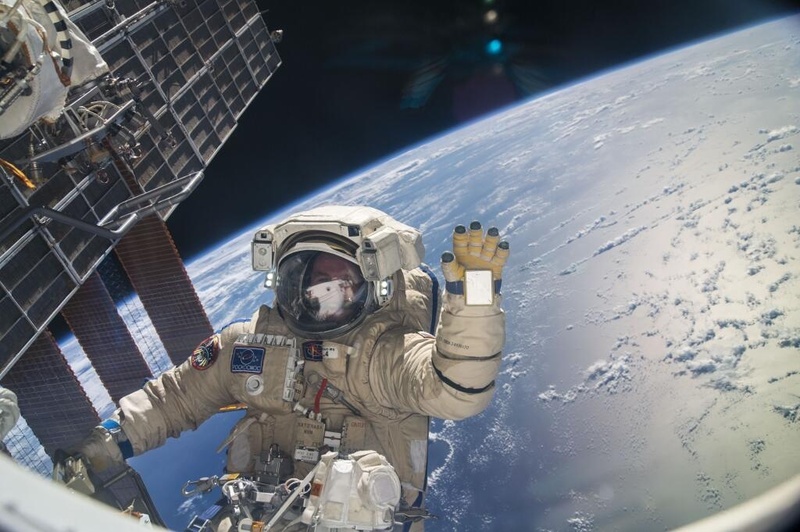 This superb image was taken by the “Upside down astronomer”. Something to aim for in the future. Really like William Optics refractors. Weather is not very good for astronomy, so heres another oldie reprocessed – M51 the Whirlpool galaxy. A little bit more noise reduction and colour manipulation this time both in PixInsight and also Photoshop – layers in Photoshop allow more subtle blending of changes. There is now enough colour in the spiral arms to get a hint of red HII regions and blue OB class stars. The gravitational disruption of elliptical galaxy NGC 5195 is also more pronounced with a brown dust lane. Edge on spiral galaxy IC 4263 is visible at the upper right. Focus could be a lot sharper but not bad for a small 80mm scope. 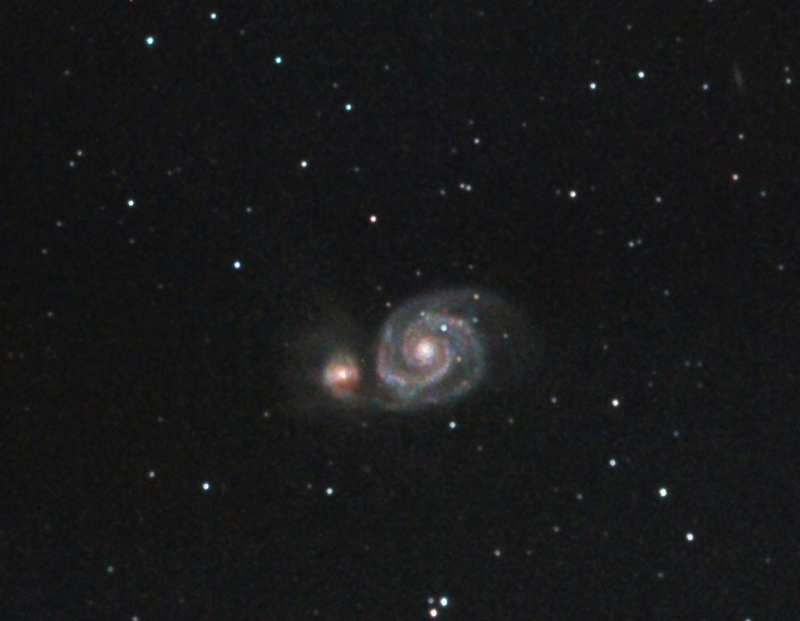 M51, the Whirlpool galaxy interacting with smaller galaxy NGC 5195. M51 is a Seyfert (type 2) galaxy with an active galactic nucleus – that is, it has an incredibly bright accretion disc of matter falling into its central supermassive black hole but we are at the wrong angle to see deeply into the centre of the accretion disc.